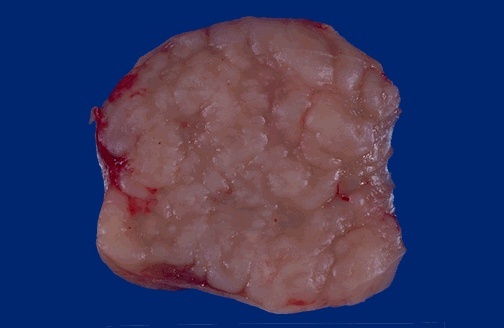 Here is a 5 cm lymph node (obviously from a patient with lymphadenopathy). The node should normally be soft and pink and less than 1 cm in size. This lymph node is involved with Hodgkin's disease. This gross appearance could pass for a non-Hodgkin's lymphoma as well.